Kellogg Community College is proud to announce 15 recipients of the KCC Foundation’s Gold Key Scholarship, the College’s most prestigious scholarship. Gold Key Scholarships are awarded to full-time freshmen to recognize and encourage outstanding academic and personal achievement. Recipients are awarded $4,500 each year for up to two academic years to use toward tuition, fees and books. Applicants for the Gold Key Scholarships must be current high school graduates entering KCC as full-time freshmen, have a cumulative high school GPA of 3.5 or higher and an ACT score of 22 or higher. They must also demonstrate leadership experience, community and service activity and involvement in school activities. Hannah Crumback, who resides in Battle Creek and is a senior at Lakeview High School. Crumback, who is a dual-enrollee at KCC, has a 4.13 GPA and is pursuing General Studies at KCC with a concentration in International Studies. She was awarded the Melvin H., Doris A. & Fovette E. Dush Gold Key Scholarship. Brittany Doyle, who resides in Hanover, is a senior at Concord High School and also attends the Jackson Area Career Center. She has a 3.97 GPA and plans to join the Dental Hygiene Program at KCC. She was awarded the Lela M. Karcher Gold Key Scholarship. Kearstin Durham, who resides in Battle Creek, is a senior at Harper Creek High School and also attended the Battle Creek Area Math and Science Center. Durham, who is a dual-enrollee at KCC, has a 3.59 GPA and plans to join the Radiology Program at KCC. She was awarded the Edward P. & Kathryn M. Bellas Gold Key Scholarship. Kristen Gilley, who resides in Battle Creek and is a senior at Harper Creek High School. Gilley has a 3.77 GPA and is pursuing General Studies at KCC while working toward her goal of studying veterinary science. She was awarded the Dr. Paul and Sharon R. Ohm Gold Key Scholarship. Allison Halbert, who resides in Battle Creek, is a senior at Pennfield High School and also attends the Calhoun Area Career Center. Halbert has a 3.51 GPA and is pursing Early Childhood Education at KCC. She was awarded the Robert L. & Lois H. Brenner Gold Key Scholarship. Macy Hancock, who resides in East Leroy and is a senior at Harper Creek High School. Hancock, who is a dual-enrollee at KCC, has a 4.03 GPA and is pursuing Accounting at KCC. She was awarded the Hugh McPherson Gold Key Scholarship. Cameron Keeton, who resides in Battle Creek, is a senior at Harper Creek High School and also attends the Battle Creek Area Math and Science Center. Keeton, who is a dual-enrollee at KCC, has a 3.86 GPA and is pursuing Business at KCC. He was awarded the Leonard W. and Dorotha C. Dott Gold Key Scholarship. Breanna Lawless, who resides in Jonesville and is a senior at Jonesville High School. Lawless, who is a dual-enrollee at Jackson College, has a 4.0 GPA and plans to join the Dental Hygiene Program at KCC. She was awarded the Lela M. Karcher Gold Key Scholarship. Claire Leson, who resides in Union City and is a senior at Harper Creek High School. Leson, who is a dual-enrollee at KCC, has a 3.73 GPA and plans to join the Nursing Program at KCC. She was awarded the Virginia M. Hensley Gold Key Scholarship. Matthew Maurer, who resides in Hastings and is a senior at Hastings High School. Maurer has a 3.93 GPA and is pursing General Studies at KCC with a concentration in Mechanical Engineering. He was awarded the Ethel Groos Gold Key Scholarship. Audrey McClure, who resides in Athens and is a senior at Athens Jr./Sr. High School. McClure, who is a dual-enrollee at KCC, has a 4.0 GPA and plans to join the Nursing Program at KCC. She was awarded the Kim R. Cortright Gold Key Scholarship. Elizabeth Miller, who resides in Battle Creek and is a senior at Harper Creek High School. Miller, who is a dual-enrollee at KCC, has a 3.89 GPA and is pursuing Accounting at KCC. She was awarded the Mildred E. Hoover Gold Key Scholarship. Evelyn Niniz, who resides in Springfield, is a senior at Battle Creek Central High School and also attends the Calhoun Area Career Center. Niniz, who is a dual-enrollee at KCC, has a 4.01 GPA and is pursuing Early Childhood Education at KCC. She was awarded the Elizabeth H. Binda Gold Key Scholarship. Sara Parks, who resides in Athens, is a senior at Athens Jr./Sr, High School and also attends the Calhoun Area Career Center. Parks has a 3.74 GPA and is pursuing Early Childhood Education at KCC. She was awarded the Arthur J. & Lucille B. Finley Gold Key Scholarship. Kristen Rafferty, who resides in Tekonsha and is a senior at Homer High School. Rafferty has a 3.70 GPA and plans to join the Physical Therapist Assistant Program at KCC. She was awarded the Bertha M. Smith Gold Key Scholarship. 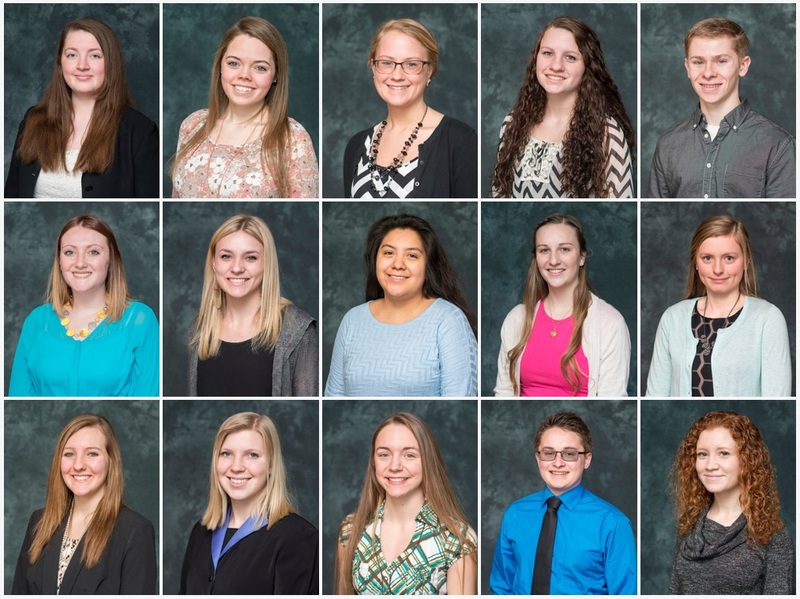 High-resolution photos of each scholarship recipient are available for download for use by the media from KCC’s 2016 KCC Foundation Gold Key Scholars Flickr album online at www.flickr.com/photos/kelloggcommunitycollege/albums/72157667408556465. For more information about the KCC Foundation or Gold Key Scholarships or to contribute to scholarships, please contact KCC Foundation Executive Director Teresa Durham at 269-965-4161 or visit www.kellogg.edu/foundation.